Something I know a lot of people struggle with is what to wear on date night. Whether it's your first or fifty-first date, it's always nice to make an effort for that specials someone, but also for yourself. There are so many different types of places on offer now days, so sometimes the dress code can be a little vague and leave you wondering what's appropriate to wear. Is it a shirt and blazer occasion or something chilled and laid back? - it's not always easy to tell. 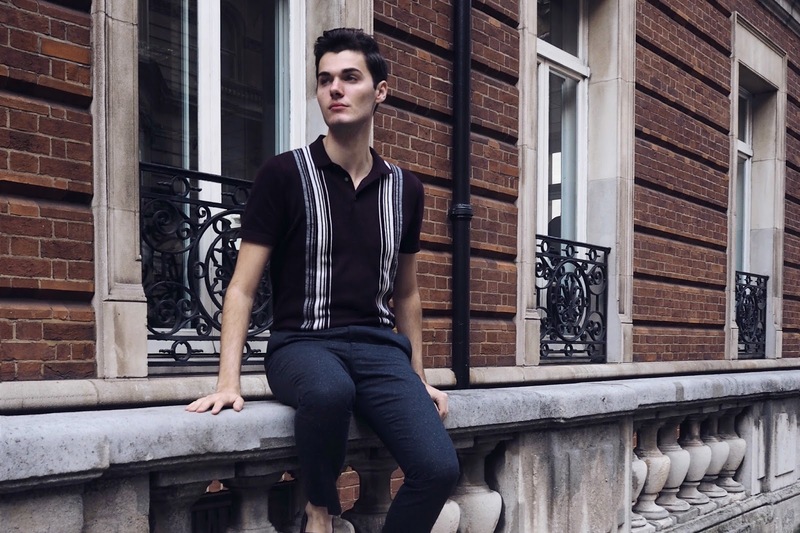 Here's a go-to outfit that should suit a chilled brunch, cinema date or something a little more fancier and help you make that good first impression. Obviously, going on a first date can be a little daunting for some people as it's the first time you might be meeting the other person and you want to start as you mean to go on. Cheesy pick up lines and awkward stories aside, make sure you turn up in style and manage to show them how fun you are. 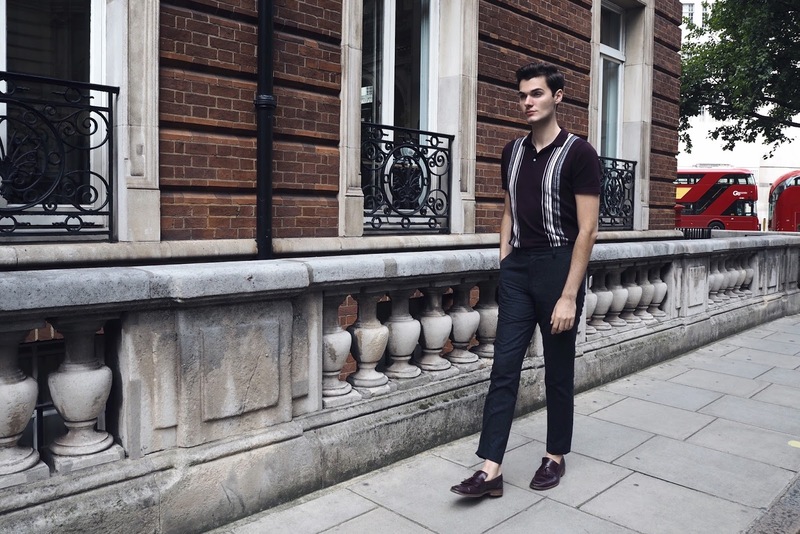 I find going for an over smart look can sometimes come across as a little too serious, so I like to find a nice balance between smart and casual when picking my outfit. 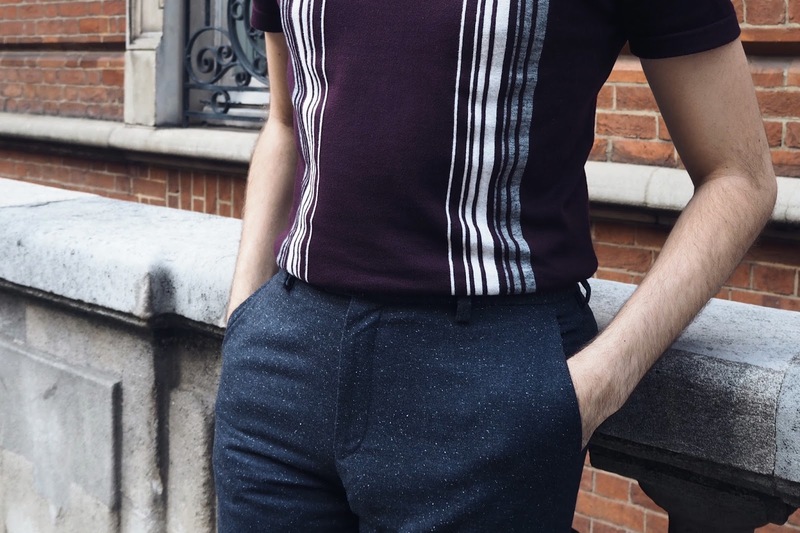 I decided to go for this knitted polo with retro stripe detailing and a classic pair of tailored navy trousers. 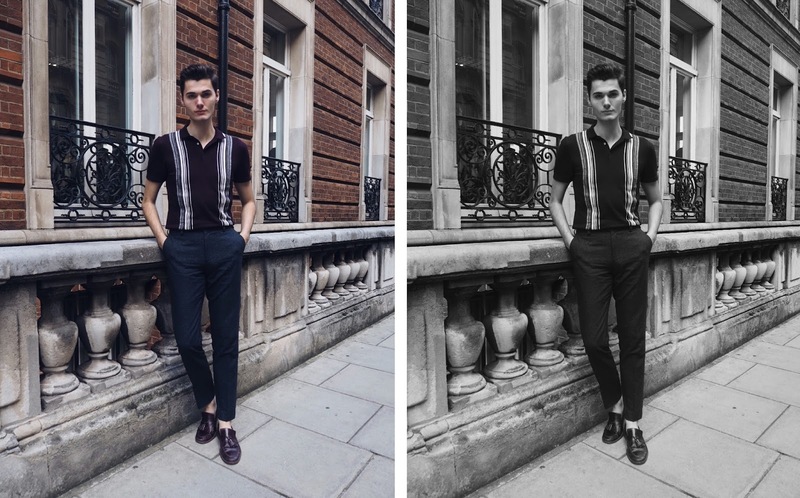 The loafers also add a smart touch and show you've made an effort without going too far. In today's world it can be hard meeting new people, but with the help of our smart phones it's easy to connect to other singletons around us, looking to find that special someone or just a bunch of new friends to hang out with. I'll admit that there are quite a few apps out there promising to help us connect to others, but one that seems to be working even though it's relatively new to me is Badoo. It has the standard swipe matching feature but also offer a list of people 'near to you', showing profiles of users that you might bump into when you're out and about. It's also the world biggest dating app, so chances are - you'll find that special someone! They also have a fun feature where you can search for lookalikes of your favourite celebs (some a lot more convincing than others). So if you've got Kate Beckinsale or Jennifer Aniston in your sights, then there may only be a few miles between you and the next best thing. 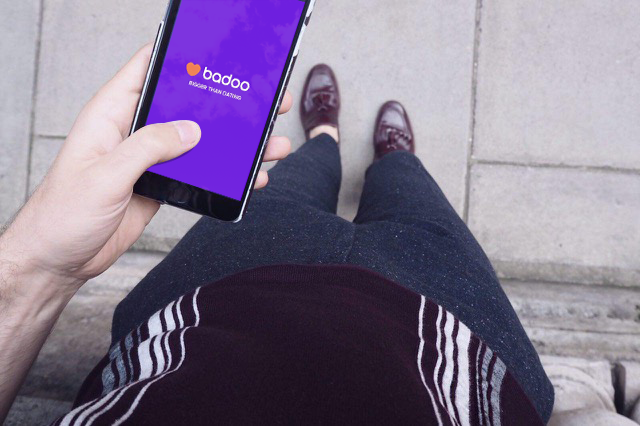 Sometimes London can be the hardest place to connect to people with everyone going about their own lives and always in a rush, but Badoo can take the stress out of finding new connections and put the fun back into dating and making friends. Take inspo from this outfit, aways offer to pay the bill and keep your phone to hand incase you need to rearrange another date - you never know, she may be the one.